Home » Blog » Happy Mother’s Day from the Midwives of New Jersey! Mother’s Day is a big deal for the Midwives of New Jersey. Mothers are our passion. What is important to them is important to us – their health, their children’s health and their right to make decisions for themselves and their children (autonomy). 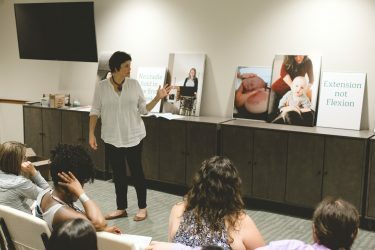 The Midwives of New Jersey along with the American College of Nurse-Midwives (ACNM), the Midwives Alliance of North America (MANA) and countless other birth workers and organizations are fighting for women’s rights to make choices during their pregnancy, labor, birth and postpartum time. Women are STILL unaware of the evidence-based choices they should be offered, choices that include: Midwifery care, intermittent auscultation of the fetal heart in labor, water labor and birth, homebirth, doula support, nitrous oxide for labor relaxation, food and drink in labor, spontaneous rather than artificial rupture of membranes, natural cesarean, freedom of movement in labor, delayed cord clamping, Vaginal Birth after Cesarean Section (VBAC), upright positions for delivery and many more. These choices are not just for the “granola” crowd, they are the BEST choices for most women and their families because they result in the best possible outcomes. Despite overwhelming evidence to say that intervening in the normal process of childbirth is detrimental to women and their babies, we continue to intervene. All of these things have no basis in fact, Americans have simply become accustomed to these interventions and consider them part and parcel of a normal healthy birth. The trends are moving toward a more natural approach toward birth but history has shown that it takes 30 years or more to disseminate scientific evidence into the general practice of the medical community. The evidence for delayed cord clamping is 40 years old and there has never been ANY evidence to support continuous fetal monitoring or episiotomy yet they still exist and are used in most deliveries. Despite tons of evidence and the support of National organizations like ACOG, ACNM and Improving Birth Network, reform in childbirth may ultimately come from the visual and emotional impact of the media rather than scientific facts and figures. In the past 10 years, there has been no better promotion for natural childbirth than The Business of Being Born which came out in 2007. This Luv’s diapers commercial helps to normalize breastfeeding in public. Now The Honest Company has gotten on-board helping to normalize birth choices in this beautiful commercial that I thought would help us all celebrate Mother’s Day. This conference is reaching out to birth workers and parents alike offering the Evidence for the safe choices mothers should be offered in childbirth. You can register now for the Parent’s workshops and/or the Professional conference. We hope that you will join us and invite your friends and colleagues too. We wish the Mothers in New Jersey a very special day. The Midwives of New Jersey salute you.